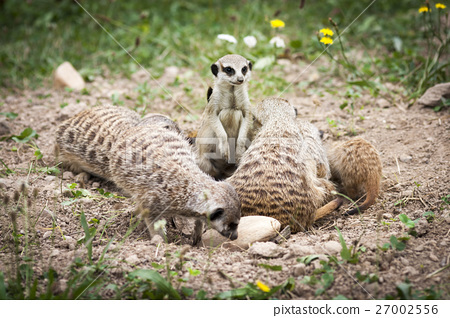 Stock Photo: Suricata Suricatta - Meerkat. Suricata Suricatta - Meerkat. Playing Suricatas with One Standing.